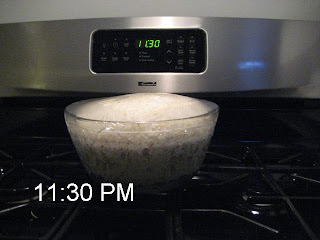 On one of the blogs that I occasionally read had a post about how to prevent RapidRise (Quick-Rise in Canada) yeast from failing. Apparently the author’s last baking venture was a disaster. To remedy future failure author advocated starting the yeast in water. Interesting, except that even “Fleischmann’s”, the largest manufacturer of household instant yeast, doesn’t recommend this practice but instead favors mixing the yeast with the flour and then proceed with the recipe. 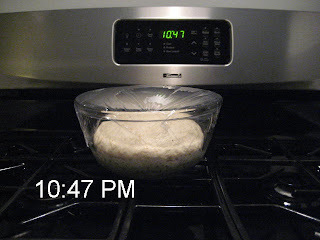 I have always done it and my dough has never failed to rise. Only concern that baker has is make sure that the water is heated to 120°F to 130°F, yeast dies at 140°F. 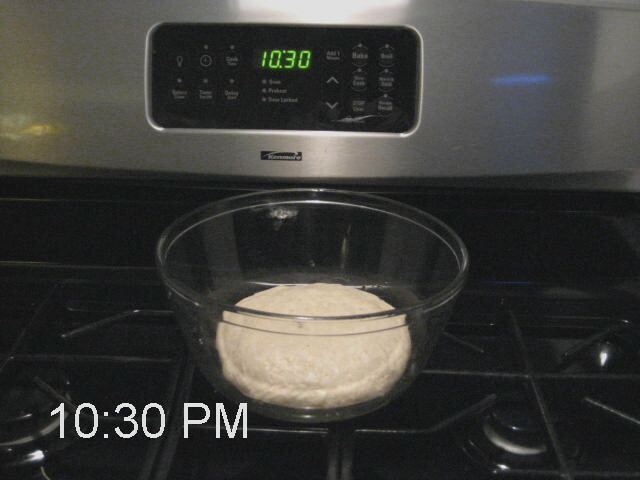 I go one step farther and preheat bowl where dough will rest. 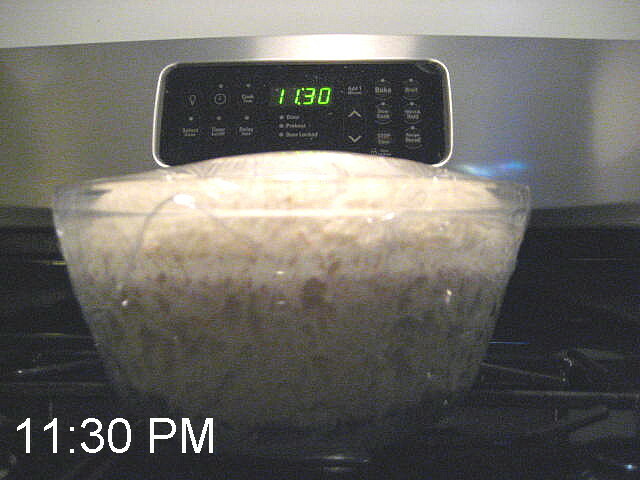 Following photos show how rapid that yeast is. Since we had decided to have a pizza next day I took pictures of my dough. Full recipe is here. More tips from Fleischmann’s. Fresh out of food processor and 15 second kneading. In 17 minutes it is almost double in volume already. 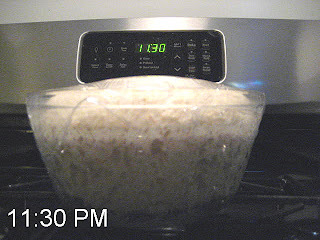 In just one hour the dough has more then tripled in volume, as usual. Check the gas pockets in my dough. 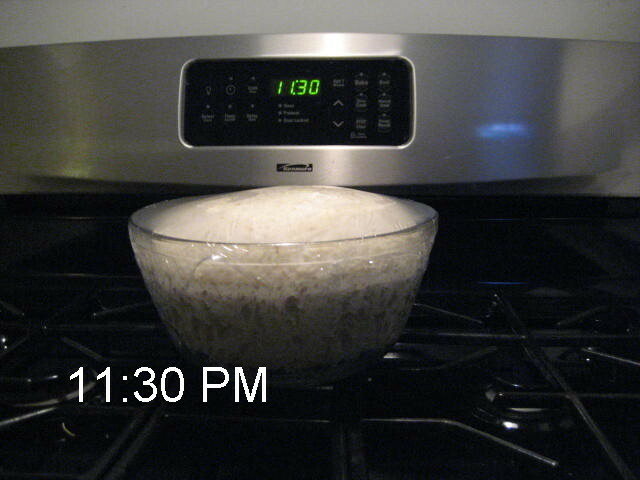 This dough is as light as a feather.